Unlike in the old days when people did not have access to sufficient information regarding illnesses, people can now find everything they need to know about type 2 diabetes on the internet. Type 2 diabetes is also known as non-insulin dependent diabetes mellitus. It is the most common type of diabetes in the world. Nearly 95 percent of all diabetics in the US suffer from this metabolic disorder. The main difference between type 1 and type 2 is that those suffering from the latter can produce their own insulin naturally. However, the body may not be able to utilize this insulin adequately. The insulin produced by the pancreas might also not be enough for the body the use. The amount of glucose in the blood will increase because blood cells cannot take in glucose without help from insulin. There are many problems that diabetics can experience if the level of glucose in their blood is too high. The most common problem is dehydration. Since blood cells cannot utilize glucose without insulin, the only other way to get rid of it is through urination. This will lead to severe loss of water in the body. If the person does not drink enough water to replenish the body, he or she might slip into a diabetic coma; a life threatening condition. The presence of glucose in high concentration inside the body can damage nerve cells and blood vessels of the heart, eyes and kidneys. This can lead to strokes and heart attacks when larger arteries harden. This condition is known as atherosclerosis. The good news is that the level of glucose in the blood can be managed easily in a number of ways. The most common symptoms of this metabolic disorder include frequent thirst due to dehydration of the body. Frequent urination as the body tries to get rid of the glucose. Constant hunger is also a common symptom of the disorder. Weight loss might also be experienced by people suffering from the disorder. Other symptoms include fatigue, itchiness, blurred vision, recurrent vaginal infections and peripheral neuropathy. While this metabolic disorder may have been linked to hereditary factors, the identity of the genetic factor that causes it has not yet been identified. High risk groups include those with high blood pressure, low HDL cholesterol levels, inactive lifestyles and those with relatives who suffer from this illness. People who are over 45 years of age, those with obesity and members of certain races or ethnic groups are also at high risk. There are many ways of managing this disease. For instance, exercising on a regular basis might help. Exercises are important because they can increase insulin sensitivity. Eating nutritious meals that have low calorific values will also help. There are many types of medications that can be used to manage the illness. If medications are not very effective, insulin shots can be introduced into the treatment program. 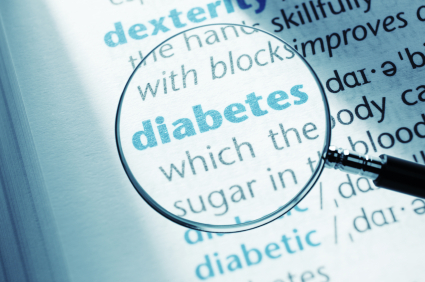 Learning more about type 2 diabetes might help diabetics and their families to manage the disorder. It can also help people stay healthy to avoid developing this illness. If you need more information, you may want to consider speaking to your doctor. Heal.thcare is a complete guide that will answer all your questions related to health, nutrition, diet, lifestyle, exercising, mind and body.